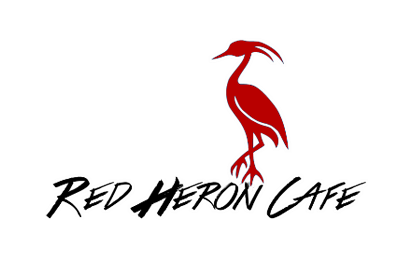 Online ordering menu for RED HERON CAFE INC. Red Heron Cafe is a veteran owned business. We have comfortable seating and a cozy atmosphere for a unique experience. We have free wifi for our guests. Book an event at our cafe or stop by to relax, connect with others, or participate in the festivities! Come visit our cafe where all dishes are prepared fresh with top quality ingredients. Our food is cooked when ordered (fast food isn't good and good food isn't fast). Know that everything is crafted by hand and heart for your delight. We're located on Harrison Street not far from Martin Memorial Library. Order online for carryout!